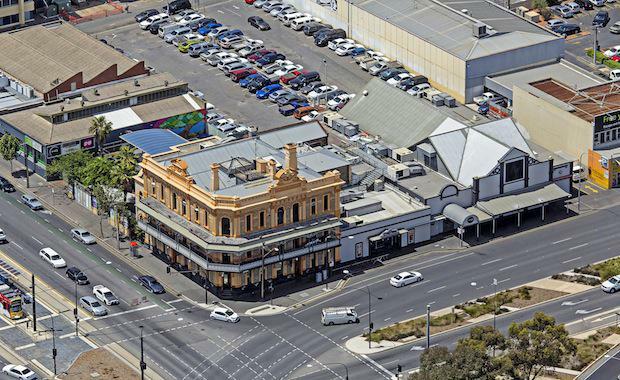 In what will make way for a landmark development in Adelaide CBD, a prominent site adjacent to one of South Australia’s largest infrastructure projects has been listed for sale. 1 North Terrace is a 2,646sqm site centrally positioned directly opposite the new $1.85 billion Royal Adelaide Hospital, along with the iconic SAMHRI building and soon to be developed $125 million University of SA medical and dental school. CBRE’s Phil Rundle​, who has been appointed to steer the property’s sale in conjunction with fellow agent Alistair Laycock, said the site’s unrivalled location would be a key drawcard attracting buyers. “This site’s close proximity to several high profile developments stamp it as the pre-eminent medical and technological precinct in the Adelaide CBD,” Mr Rundle said. The property is being offered for sale by Expressions of Interest closing March 6 at 12.00pm.